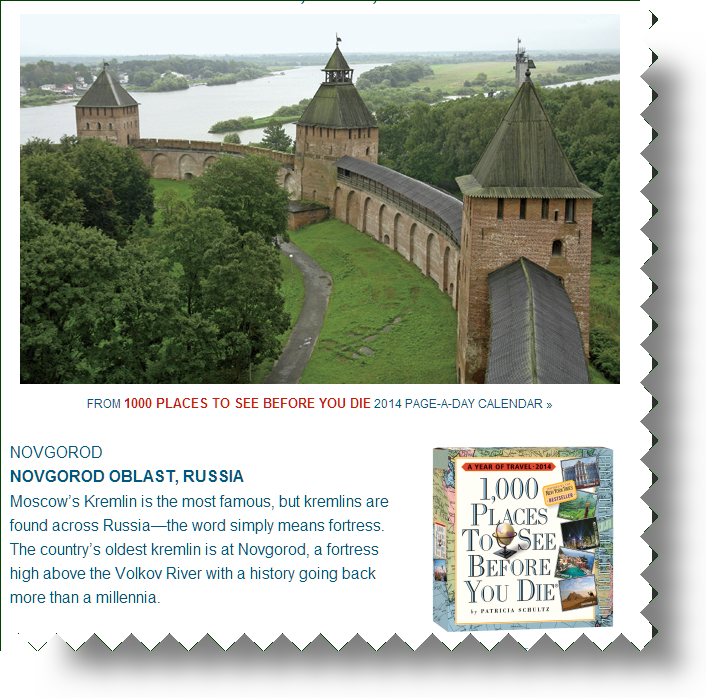 Novogorod is the most ancient cities of Russia, like Veliky Novgorod and Staraya Russa & is located in the north-west of European part of Russia. What is most remarkable is the St Sophia Cathedral, constructed in 1045. The fortress was made from wood the local region as Novogorod is located in a heavy forest area that is considered southern taiga and mixed forests. The climate is close to coastal, characterized by high humidity. Summers are not hot but temperate and very humid; springs are warm and long. Winters are mild and autumn like spring, long but cool. The area’s main mineral deposits of the region are peat, brown coal, fire-clay and construction clay, bauxites. The region is rich in mineral and radon springs, curing mud somewhat like our Saratoga Springs at Saratoga, New York.